By clicking "Join us!" you are giving Citizens' Climate Lobby and Citizens' Climate Education permission to send you email including information about CCL/CCE and how you can volunteer and support our work. You can unsubscribe at any time by emailing gro.y1555757489bbole1555757489tamil1555757489csnez1555757489itic@1555757489ebirc1555757489sbusn1555757489u1555757489. 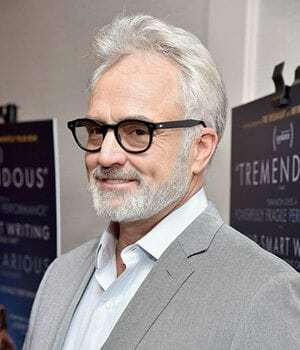 Bradley Whitford, a classically trained stage actor who has received critical acclaim for his roles in theater, film, and television, quickly gained overnight fame as the sarcastic yet vulnerable Josh Lyman on NBC’s The West Wing. One of the few actors working successfully and simultaneously in theater, film and television, Whitford has become one of Hollywood’s most sought-after talents. Growing up in Wisconsin, Whitford studied theater and English literature at Wesleyan University and attended the Juilliard Theater Center. Whitford recently starred in the Showtime comedy, Happyish and also currently recurs on Amazon’s award-winning comedy series, Transparent, which won the 2015 Golden Globe for “Best TV Series, Musical or Comedy,” and for which Whitford won both a 2015 Primetime Emmy Award and TV Critics’ Choice Award. He also starred in Trophy Wife, The Good Guys, Studio 60 On The Sunset Strip, The West Wing, ER, The X-Files, and NYPD Blue. His performance as Josh Lyman on The West Wing earned him a 2001 Emmy Award as well as Golden Globe Award nominations in 2001 and 2002. Whitford recently wrapped production on six feature films. Whitford’s film credits include Disney’s Saving Mr. Banks, I Saw The Light, The Cabin in the Woods, An American Crime, The Sisterhood of the Traveling Pants, Little Manhattan, Kate and Leopold, The Muse, Bicentennial Man, Scent of a Woman, A Perfect World, Philadelphia, The Client, My Life, Red Corner, Presumed Innocent and My Fellow Americans. In 2016, Citizens’ Climate Lobby was featured on an episode of Years of Living Dangerously alongside Bradley Whitford where he joined Jay Butera and other citizen lobbyists at our international conference and lobbying on the Hill. Bradley Whitford continues to stay involved with CCL and the fight for a livable world.